It seems like a lifetime ago since we set about starting the renovation of Farditch Farm in Chelmorton, but it’s finally time to say we’re open! 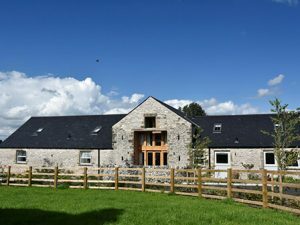 The cottages at Farditch Farm are not too far away from our well know Endmoor Farm Holiday Cottages site in Monyash, and they boast an impressive specification for your stay! Room for the whole family, and some friends, and a dog! The nature in which we renovated Farditch Farm allows the 3 cottages to be transformed into one big holiday cottage should you wish. This means a whopping 22 people can be in attendance at any one time, making Farditch Farm Holiday Cottages the ultimate destination for families, anniversaries or reunions! As all of our cottages are dog friendly as well, you can bring your canine companions with you to enjoy the fun too – it really will be like a home from home when you stay with us. Whilst you may not want to leave the cottage once you’ve arrived, the location of Farditch Farm is perfect for hikers, dog walkers, and cyclists as it is in the heart of the Peak District. We regularly post on our social media channels local walks and adventures you can go on during your stay with us, so make sure you keep up to date by liking us on Facebook! The finishing touches of Farditch Farm will ensure your stay is a comfortable one! Whether you’re staying in the Caxterway, Pippenwell or Red Hurst cottage, you will be sure to have a relaxing stay with us. All of the cottages come with immaculate furnishings and quality kitchen and bathrooms. Our kitchens all come with the latest mod cons, whilst the comfortable lounge areas and a number of the bedrooms have modern, flat screen TVs, making them the perfect combination for a relaxing night in! There is a large communal courtyard with seating if you fancy a spot of alfresco dining or watching the magnificent sunsets we get in the Peak District. There are also private patio areas to the cottages and a large open space on the farm’s grounds for ball games and exercise! As well as our stunning cottages at Farditch Farm, we also have 11 uncrowded caravan pitches. Farditch caravan site is set in the rural Peak District, and is surrounded by gorgeous landscapes of rolling hills, making it a wonderful stay. The high spec pitches all come with electric, water, WIFI, drainage, and the site offers immaculate washing/toilet facilities and a communal kitchen and lounge area. As with our cottages, well behaved dogs are more than welcome to stay too. We love living in the Peak District, but we also love a spot of retail therapy, which is why our location is ideal! We are located between the spa town of Buxton and the market town of Bakewell, meaning whether you want a mani-pedi, a gin and tonic or a new handbag, there’s something for everyone nearby! To find out about our availability for your Peak District stay, visit our Contact Us page and fill in the contact form!